Beijing: Sri Lanka and India have had more talks on issues relating to the Maritime Boundary Line dividing both countries, the Sri Lanka Navy said on Friday. 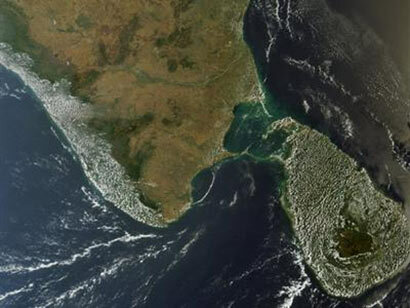 The navy said the 22nd International Maritime Boundary Line ( IMBL) Meeting between Sri Lanka and India was held onboard an Indian naval ship at the Indo-Sri Lanka Maritime Boundary Line off Kankasanthurai in the north of Sri Lanka. The Indian delegation consisted of Indian navy and coast guard officials and was headed by a naval officer from Tamil Nadu. The IMBL Meeting is held twice a year to strengthen the naval relationships between the two neighboring countries. Delegates meet one another once onboard an Indian naval ship and next onboard a Sri Lankan naval ship. During the 22nd IMBL session, matters related to fishing activities conducted in the Palk Strait, Gulf of Mannar and smuggling of narcotics across IMBL were discussed, the navy media unit said. Meanwhile, four Indians were arrested while they were transporting cannabis in the north by boat after crossing the IMBL, the navy media unit said. The navy said the four Indians as well as two Sri Lankans who had gone by boat to pick the cannabis were handed over to the police for further investigations. Indian fishermen often accuse the Sri Lankan navy of attacking them when they stray into Sri Lankan waters to catch fish, an allegation that is rejected by the Sri Lankans. The Indian government last week said the Sri Lankan navy had been told not to fire on Indian fishing vessels.